GFA's Elena Mota, a resident of Westport, makes a high-flying serve during her team's New England Class C quarterfinal win last week at Coyle Gym in Westport. Two Greens Farms Academy varsity teams took part in NEPSAC Class C tournaments last week, with one advancing to the New England tournament semifinals. The Dragons girls volleyball squad lost to eventual NEPSAC championship King Low Heywood Thomas by a 3-0 score on Saturday in the tournament semifinals. Earlier in the week, though, a 3-0 win over Chapel Hill-Chauncy Hall of Waltham, Mass., was the highlight of the week. GFA topped the Chargers by the scores of 25-21, 25-10, 25-20. The team delivered a great performance despite missing Meg Nesi (Fairfield) from their starting setter because sophomore Kelly Mooney (Southport) stepped in and dished out 18 assists in her first varsity start. The team decided early on that they were determined to make it work and by midway through the first set things started to click with GFA down, 21-15. GFA received clutch serving by Westport’s Kirwan Carey (11 kills, 4 aces), Shelton’s Hannah Kozbeba and Darien’s Elena Mota (10 kills, 4 aces) to close out the first set. In set two, it was all GFA behind the excellent backline play of Celeste Matte (Stratford), Ililta Pina (Weston) and Tess McCormick (Westport) along with the strong serving of Greenwich’s Jesse Boolbol (7 service points, 3 aces. Southport’s Alex Wagner (7 service points, 2 aces) and Mota also picked up points. In set three Chapel Hill was determined not to go down without a fight pushing the Dragon’s to play harder but GFA’s Carey and Mota and Kris Modzelewski (Westport) consistent attack was too much and the strong serving closed out the match with Libero Alex Nason (Darien), who earned 12 digs, serving out the last three points. In the semifinals, the Dragons fell to by the scores of 7-25, 15-25, 15-25. GFA ran into a King squad that was serving great and their offense was in great rhythm. The Dragons had trouble getting their offense started and never were able to gain the upper hand. Mota had four kills to lead GFA. Despite a yeoman’s defensive effort by Will McCall (Westport) and Ian Lee (Greenwich), along with other Dragons, GFA fell to Millbrok by a 1-0 score in overtime. The Dragons shutdown Millbrook’s best player until there was 2—30 gone in the first overtime when he got just loose enough on a corner kick to one-time a volley out of the air and into the net. Senior Henry Holzinger (Westport) made seven saves for the Dragons, who finished the season 12-5-3. VARSITY LETTERS: Charlie Bohnsack (Darien), Lilah McCormick (Westport), Kendra Offerman (Bedford, NY), Henry Brennan (Darien), Liam Murphy (Westport), Kaitlin Reed (Southport), Henry Corroon (Westport), Bella Nixon (Rowayton), Steffen Refvik (Westport), Francesca DeVita (Darien), Lindsey Offerman (Bedford NY), Bella Worrell (Westport), Clare Foley (Southport). VARSITY SWEATERS: Leah Attai (Bridgeport), Jocelyn Magrone (Darien), Ethan Phan (Bridgeport), Connor Calzone (Norwalk), Celeste Matte (Stratford), Ililta Pina (Weston), Drew Durkin (Darien), Will McCall (Westport), Kendall Roche (Darien), Hannah Kozdeba (Shelton), Kristiana Modzelewski (Weston), Gracyn Sollmann (Wilton), Zach Liston (Wilton), Sarah Peltier (Stamford). VARSITY WATCHES: Bella Litt (Darien), Alex Wagner (Southport). 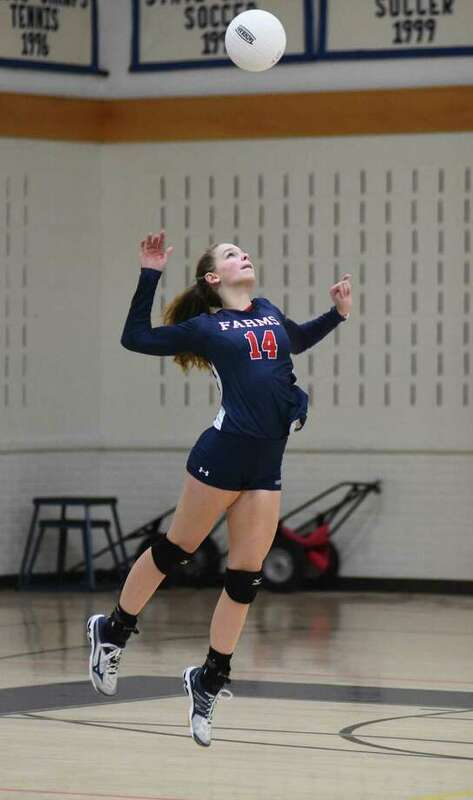 VARSITY VOLLEYBALL: MVP—Kirwan Carey (Westport) and Meg Nesi (Fairfield); MIP—Alex Wagner (Southport); Coaches Award—Celeste Matte (Stratford) and Ililta Pina (Weston); All-FAA First Team—Kirwan Carey (Westport); All-FAA Honorable Mention—Meg Nesi (Fairfield). GIRLS VARSITY SOCCER: MVP—Kelly van Hoesen (Greenwich) and Ella Murphy (Darien); MIP—Margot Goldsmith (Darien); Coaches Award—Lilah McCormick (Westport); All-FAA First Team—Ella Murphy (Darien) and Kelly van Hoesen (Greenwich); All-FAA Honorable Mention—Elyse Kimball (Easton). BOYS VARSITY SOCCER: MVP—Jake Sinnott (Fairfield) and James Velgot (Weston); MIP—Ian Lee (Greenwich) and Charlie Benson (Darien); Coaches Award—Henry Holzinger (Westport); All-FAA First Team Honors—Henry Holzinger (Westport), James Velgot (Weston), Jake Sinnott (Fairfield); All-FAA Honorable Mention—Ian Lee (Greenwich); WNEPSSA All Stars—Henry Holzinger (Westport), James Velgot (Weston), Jake Sinnott (Fairfield); WNEPSSA Select Team—Henry Holzinger, James Velgot; WNEPSSA Select Team Honorable Mention—Jake Sinnott, Ian Lee; NEPSSA Junior All Star Game—Miles Mcdonald (Westport); NEPSSA Senior All Star Game—Henry Holzinger, Jake Sinnott. GIRLS JV2 VOLLEYBALL: Coaches Award—Paige Benson (Darien).